When Mary returned to Nazareth from visiting her cousin Elizabeth, her betrothed, Joseph, decided that the couple should leave for Bethlehem. Emperor Caesar Augustus ordered that all men must go to their home town to register for tax purposes. Joseph was of the lineage of David and his home town was Bethlehem. When Mary and Joseph arrived in Bethlehem, Joseph’s family’s homes were packed. Inns were filled with other returned Bethlehemites. Joseph’s kin told him that he and Mary were welcome to sleep in the barn. Mary gave birth to her first-born son, Jesus in this barn environment. As was the custom in the Ancient Near East culture, Mary wrapped Jesus in swaddling cloths (Luke 2:7), Swaddling cloths were narrow band of cloths wrapped around newborn children to restrain and quiet them. A mother’s womb was snug and warm; these cloths mimicked the womb. Newborns have fingernails, so the cloths would have prevented the newborn Jesus from scratching himself has he wiggled around. The swaddling cloths Mary wrapped Jesus in were probably made from cotton. Because of their poverty, Joseph and Mary likely were unable to afford linen cloths. Often pictures of Jesus wrapped in cloths at his birth depict the cloths as white; however, likely the cloths were gray or brown as the cotton was unbleached. Perhaps, swaddling cloths that Mary used were several colors because they were cast off rags. Have you ever cared for a newborn? They both urinate and have small bowel movements. Likely, Mary knew this newborn characteristic and used cloths that could be changed separately on Jesus’s lower body. The cotton cloths were probably from the Gossypium herbaceum plant, also known as Levant cotton and Arabian cotton. Cotton plants were domesticated in India about 3000 B.C. and grew in Mesopotamia at least from 1000 B.C. In the 7th century B.C. cotton was present in the Arad Valley in Palestine. Possibly, returned Jewish exiles brought cotton cloth and cotton plants back with them from Persia. G. herbaceum isn’t the same species of cotton grown in present-day Israel, nor the species grown in the United States. 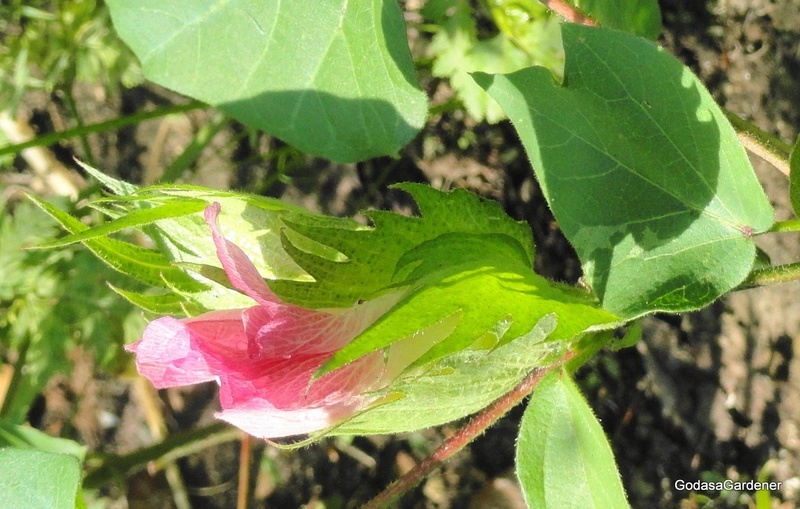 When cotton plants are irrigated, most flower mid-to-late summer. Large, showy, solitary blooms have five petals (1-2 inches long). Flowers are yellow (occasionally white) at first, then fade to a soft red or pink. The cotton plant fruit is called a boll. When ripe, the boll splits and a mass of fine white filaments or fibers exude. The white fibers are the cotton of commerce. Seeds are present in the white fibers. In ancient times seeds were separated from fibers by hand, then the fibers woven into cloth. Luke recorded that Mary wrapped Jesus in swaddling clothes and laid him in a manger. Most photographs showed this manger made from wood, filled with straw, and elevated off the barn floor. The Nazareth Exhibit in the Museum of the Bible showed a contrasting scenario. There, the manger was hewed out of an approximately two by one-foot stone. The interior of the manger was rough. 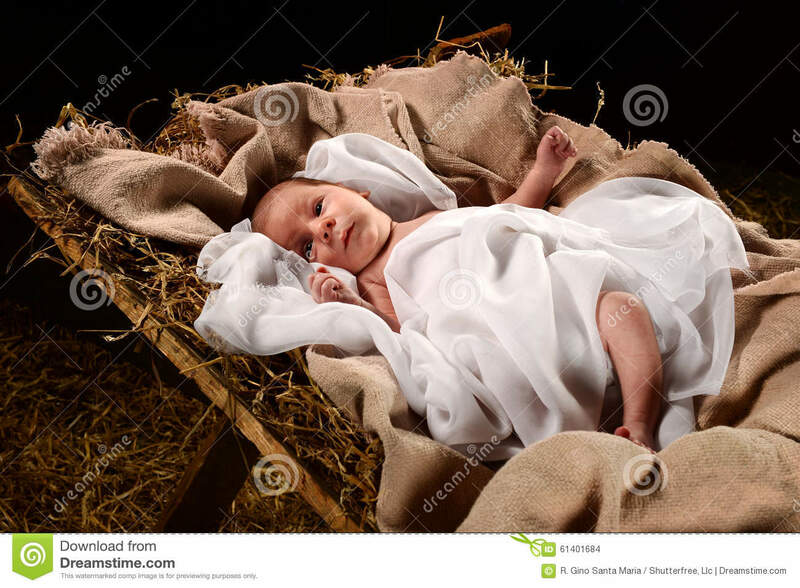 The Bible never recorded that the manger was filled with straw before the newborn Jesus was laid in it. Swaddling cloths could have been the cushion for the newborn Jesus. Luke’s story of Jesus being wrapped in swaddling cloths symbolizes Jesus as the lamb of God. It was in the Bethlehem area that newborn lambs were birthed for Temple sacrifice. Because the lambs had to be unblemished, often shepherds wrapped them lambs in swaddling cloths. As these lambs were fed by their mothers, they were kept unblemished. The description of the king’s palace at Susa is in Esther chapter 1. Esther is the last of the historical books of the Old Testament. It is the story of a beautiful Jewish girl who became wife to Ahasuerus (Xerxes), king of Persia (486-465 B.C.). Esther’s Jewish name was Hadassah which translates as myrtle; she was from the tribe of Benjamin. Angrily Ahasuerus ordered Haman to be hung. Because Ahasuerus could not undo his previous decree, he sent out another decree enabling the Jews to destroy any armed force that might attack them and to plunder the property of their enemies. On the 13th day of the Jewish month of Adar, the Jews destroyed all of their enemies; however, they did not plunder their property. From that time onward, Purim was a festival of celebration for the Jews. Purim is the Hebrew word for “lots” and refers to the lottery that Haman used to choose the date for the massacre of Jews in Persia. Purim is celebrated on the 14 day of Adar which is usually in March. In March 2012 at the time of the Festival of Purim, the Prime Minister of Israel visited the United States President and presented him with a scroll of the book of Esther. In Ahasuerus’ palace, curtains were made from cotton. Curtain has several meanings to include a hanging screen that can be drawn back, a device that conceals or acts as a barrier, or the time that a theatrical performance begins. In the first chapter of Esther, the cotton curtains were associated with all three meanings. Technically, the white cotton curtains were tied back by cords of fine linen and purple to silver rods. In inclement weather or to obscure the sun’s rays, the cotton curtains could be let down. Figuratively, the curtains symbolized Esther concealing her nationality. They symbolized Haman’s concealed desire to murder Mordecai; yet convincing Ahasuerus that all Jews should die because they disobeyed the king’s laws. Finally, the cotton-curtained plaza was the stage where the first act of the drama of Esther began. Earlier in this book, we studied the importance of the veil or curtain in the Tent of Meeting. That curtain was made of linen not cotton but it also concealed, e.g., the Most Holy of Holies room from the Holy of Holies room. On a daily basis, priest entered the Holy of Holies and attended to the lamps and incense. The same was not true for the Most Holy of Holies where God dwelled. The chief priest entered the Most Holy of Holies one time per year and then only after making blood sacrifice for his own sins and the inadvertent sins of the Israelites. Christ death changed the curtain separating the two rooms of the Temple. When Christ died, the curtain separating the Most Holy of Holies from the Holies of Holy rooms tore from top to bottom. Similarly, Christ’s death tore the curtain separating us from God. God became open and available to us; no longer concealed by a curtain. Now through the blood of Jesus Christ we have confidence to stand before God (Hebrews 10:19). In a way I empathize with the ancient Israelites who requested that God speaking Moses instead of speaking directly to them (Exodus 20:18-19). The thought of standing before the God of the universe can be somewhat intimidating. Then, I remember that the God of the universe is my loving Father; no one loves me more than God loves me.